Many experts consider the Tejas Light Combat Aircraft (LCA), though not yet fully developed, already far deadlier than its opposite number – the JF-17 Thunder fighter, developed by China and built in Pakistan. Now Malaysia too is endorsing the Tejas’ quality by shifting interest from the Sino-Pakistani to the Indian fighter. Last year, Kuala Lumpur was discussing a deal with Pakistan to buy the JF-17. But now, the Royal Malaysian Air Force (RMAF) is signalling strong interest in the Tejas. Business Standard learns that Kuala Lumpur has asked New Delhi to send a Tejas fighter to the Langkawi International Maritime and Aerospace Exhibition 2019 (LIMA’19) – Malaysia’s premier defence exhibition – being held from March 26-30. It is believed that Malaysia’s defence minister is keen to fly in the Tejas. Malaysia is reportedly keen on buying about 30 light fighters. If it selects the Tejas and wants delivery early, it would get the fighter in the “final operational clearance” (FOC) configuration, which was accorded on December 31. Hindustan Aeronautics Ltd (HAL), which builds the Tejas, prices the current version at Rs 200 crore ($28.5 million). This may be slightly costlier than the JF-17 Thunder, which is priced at about $25 million, but the Tejas offers better performance. Surpassing the workmanlike JF-17 Thunder, the Tejas incorporates four state-of-the-art technologies: It has an unstable design and a sophisticated quadruplex digital flight control system. Second, it is built largely of light composite materials, allowing the fighter to carry more weaponry. Third, it has a sophisticated glass cockpit and microprocessor-based utility controls, with systems like fuel controlled by computers. Finally, its American GE F-404IN engine is superior to the JF-17’s Russian RD-93. Besides Malaysia, a West Asian emirate has expressed interest in the Tejas fighter, as well as the Rudra – a weaponised version of HAL’s Dhruv advanced light helicopter. It is learnt that the Tejas and the Rudra will be sent soon to West Asia for evaluation. Unfortunately, HAL will be deploying one of its older, prototype Tejas fighters to Langkawi and West Asia, rather than one of the new aircraft it has series-built for the Indian Air Force (IAF). A twin-seat fighter is essential for prospective customers to be taken for a spin. But since the IAF has delayed in finalising the configuration of the twin-seat Tejas, the only ones existing are two HAL prototypes built years ago. “We will ferry one Tejas to Malaysia in March and show it at Langkawi. 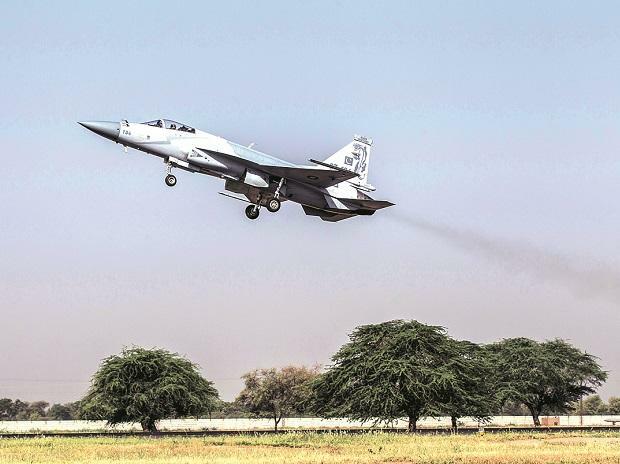 We know how to do this, having already participated in the Bahrain International Air Show (BIAS),” says a senior official from HAL, which will again spearhead the effort. In 2016, HAL had moved a team of two Tejas fighters, three pilots and a maintenance team to Bahrain. The Tejas fighters flew over 2,500 kilometres in three days: from Bangalore to Jamnagar, then to Muscat and on to Bahrain the final day. The IAF flew the maintenance team and spares on one of its giant C-17 Globemaster III aircraft. India-Malaysia defence ties are solidifying. The Malaysian air force already flies the Sukhoi-30MKM, which is modelled on the IAF’s Sukhoi-30MKI. This makes for interoperability between the two air forces. In August, on the way back to India from Exercise Pitch Black – a multi-national air exercise in Australia – the IAF contingent stopped over in Malaysia to carry out a bilateral exercise with the RMAF. “The RMAF crew flew in the IAF’s Sukhoi-30MKI and IAF crew got an opportunity to fly in RMAF Sukhoi-30MKM aircraft. This was the first time that both the forces had come together and undertook flying operations,” announced our defence ministry on August 23. Malaysia’s switch to the Tejas fighter would be a second disappointment to Pakistan, after Sri Lanka earlier backed away from the JF-17 after first expressing interest. Last April, a senior Pakistani defence ministry official had announced Malaysia’s interest in buying the JF-17. Then, in November, Pakistani media at the IDEAS 2018 defence exhibition in Karachi reported “keen interest” in the JF-17 by a Malaysian delegation, headed by RMAF chief General Dato Effendi. The JF-17 Thunder is a single-engine, lightweight, multi-purpose combat aircraft that was developed jointly by the Chengdu Aircraft Industry Corporation of China and Pakistan Aeronautical Complex, Kamra. In contrast to the IAF’s laborious induction of the Tejas, the JF-17 first flew in August 2003 and entered service in March 2007. The Pakistan Air Force currently flies five squadrons of the JF-17, with another five on the way. I feel with depleting squadrons they should concentrate on bumping up domestic production.i was pained to see a video of a technician placing a steel plate and other putting a rivet with a gun. This is all done Evan in car industry by robots. Use robots try to build the plane in segments and let that be done by contractors so that the final installation be done by HAL so that this whole manufacturing cycle be reduced to six months so the production be doubled. The front piece should come with pipes and wires installed to the final assembly rig. Dedicated effort is required and currently they are building as if it is a vintage car shop. The modern car assembly lines do better. There should be a timeline and have two shifts so that the work gets faster and time at rig is reduced and take them to final hanger to do final testing so that the rig can be freed to start the next plane. Built MK 1 A which India needs atleast 200as it is small and very lethal plane. Develop the arms for it develop SANT missile which it should carry three on each pylon like tornado carries 3 brimstones. Develop Astra MK 2 and SFDR so that you don’t need meteor and there would lot of money saving. Tejas should be able to accurately hunt tanks , artillary guns and missile carriers and would be able to defend itself and form a wall with six Tejas flying 25-30 miles apart being guided by a single Rafale flying high and painting targets and Tejas can do hunting like a wolf pack would form a formidable platform. A modern car plant churns out a car every 90 seconds. Unless you plan on ordering 350,000 fighters per year, there's probably not a lot of cross over. Good news for the DRDO, but how does HAL propose to fulfill an order of 30 aircraft for Malaysia when it can barely produce fighters fast enough for the IAF? Furthermore, does this organization even have the requisite infrastructure to support an overseas customer during the lifecycle of an aircraft's life? One needs to look no further than the debacle of the Dhruvs operating with the Ecuadorian airforce. I think HAL should first deliver Mk1. 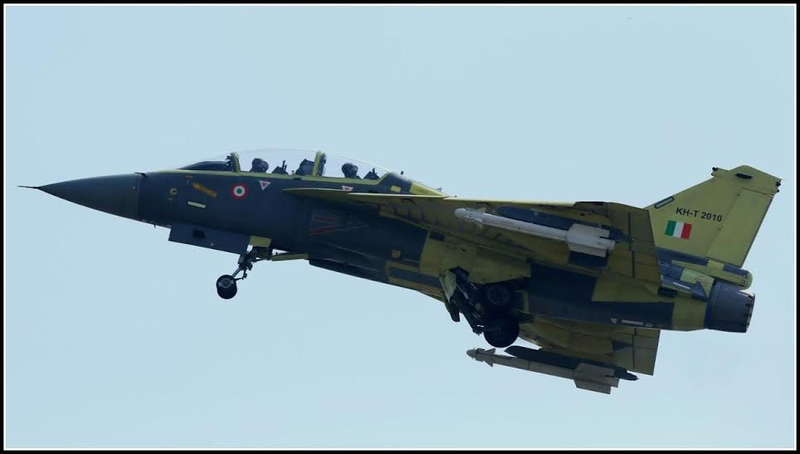 Together with ADA ensure Tejas can fire the gun. Start ramping up Mk1A. Deliver 83 numbers quickly@ 16 to 24 per annum. No exports is possible with Mk1, let us accept this fact. No exports possible unless Mk1A fires the gun. For exports US has to agree to supply engines, Israeli should permit exports of its radar and EW suite. When you are not distracted by your political affiliation you are wonderful and thats why one has followed you for years but when the pseudo secular avatar takes over you sure do dish out a lot of drivel. As long as HAL does not have one or two private companies assemble the LCA, we cannot fulfill our fantasy of exporting LCA to friendly countries. I know Malaysia very well. Take it from me, I don't think they will buy the Tejas. The JF-17 will be the top choice. Malaysia needs a Light Combat Aircraft with a variant of Lead In Fighter Trainer. Malaysia's first choice would be the Korean FA50 with the TA50 for training. Both the FA50 and TA50 are already in service with Thailand, Indonesia and the Philippines which makes spare parts, maintenance and training easily available. It also uses the same family of engine as Malaysia's FA18D Hornet which means Malaysia already have skill, experience and infrastructure for its engine maintenance. Most importantly it have seen effective combat over Marawi in South Philippines, a battleground which could resemble a future conflict in Malaysia.